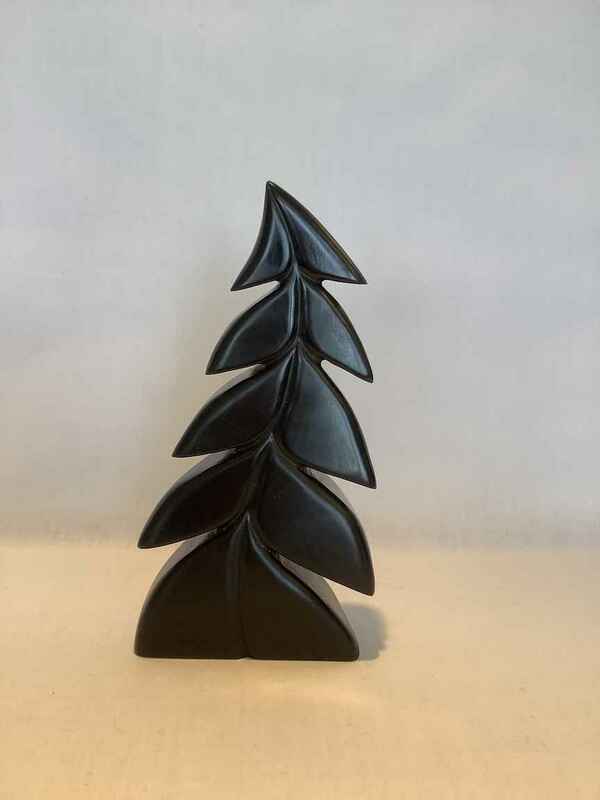 Size: 7.5" x 4" x 2"
Barbara Janman was born in Black Diamond, Alberta, grew up on the family homestead in Southern Saskatchewan and now lives with her husband, Bill and Buddy the Cat, just west of Calgary on a small acreage. Her introduction to art came from Mrs. Cornelsen, her grade 8 art teacher in rural Saskatchewan, She keeps pencil sketches, paintings, doodles and drawings in an art scribbler to this day, remnants of the beginning. Barbara’s interest in artistic creation took many forms over the years. In the 1970’s, oil painting classes and landscapes took centre stage, then textile work, quilting creations and some haute couture sewing were next. These were hobbies Barbara enjoyed while raising her family and relaxing. In 1987 Barbara started her company, Friday Professional Group Inc., a human resources staffing company. Joined by her husband, Bill and her Daughter, Leslie, the business became very successful and rewarding over 22 years. The real reward was the many great relationships which were formed and have been maintained through the years. In 2008 the business was sold, Barbara and her husband retired and have been enjoying re-newing their passions. In 2000, Barbara started wood carving, mostly birds – life sized, highly detailed. For the first many years while working full time she was able to complete only 1 or 2 birds each year. With ongoing lessons improvement continued, in 2010 Barbara received the International Wildfowl Carver of the Year Award. She was the first Canadian and the first Woman to receive this honour. She has completed a few commissions for friends, as well as 2 birds for the Dinosaur Provincial Park exhibit. Over the past 6 years several events have interrupted her pursuit of artistic development in wood and stone carving. Sheer passion and the love of stone work has brought her back to being creative and offering her work to the public. 7.5" x 4" x 2"